First I’d like to thank everyone who has entered. Like I have mentioned before there will be more awesome giveaways soon, so keep your eyes open. Drum rolllll please…. 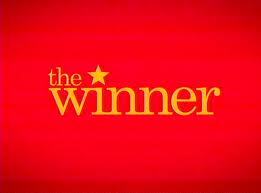 Anne Bailey, congratulations you have won the KitchenIQ Better Zester. I hope you enjoy and zest some yummy dishes. I will be emailing the winner. They have 24 hours to respond or a new winner will be chosen. Thanks and congrats again to the winner. Keep cooking. Hooray! Thank you so much. I’ve gotten your email and will respond shortly.